St. Petersburg is home to a number of world-class landmarks, and the cultural center of Russia. It also played a starring role in our Summer Russia and the Baltics itinerary. Visits to the renowned Hermitage Museum, the Winter Palace, Peter and Paul Fortress and a variety of cathedrals would all make for good stories on their own. But St. Petersburg also serves as a very good example of just how deep the focus on Destination Immersion® experiences runs within the Azamara Club Cruises experience. The Azamara Quest docked in the heart of the city, and a range of tours were offered during our two-day stay. To get off the ship and roam freely in Russia, cruise passengers must be individual holders of a Russian visa. The easiest way to explore is through official shore excursions, which provide the group with an umbrella visa. Those without either cannot get off the ship – period. Our first day in St. Petersburg was cloudy – not necessarily the weather you hope for when photographic iconic architecture. While viewing the golden onion domes and landmarks of the city, I could not help but wonder what images a nice sunny day would bring. At night, a guitarist strummed the theme of “From Russia With Love” and a lively fireworks display could be seen in the distance. The next day brought clear skies, and a very different feel to the city. The unusually warm weather was perfect for my Azamara Shore Excursions tour that day: “Walk Around Nevsky Prospect”. Our local tour guide, Anastasia, provided helpful background as we drove through the city, and we were given three hours to roam freely. Obviously, Azamara has no control over the weather. We got lucky there. But what we experienced was a direct result of an itinerary focused on two supremely important factors: passengers and destinations. More accurately, make that travelers and destinations, because I have never felt more like one at any other port of call in the world. Azamara did that by design – their cruises really are for those who love travel. Want to read more about St. Petersburg? Find Jean Newman Glock's blog here. 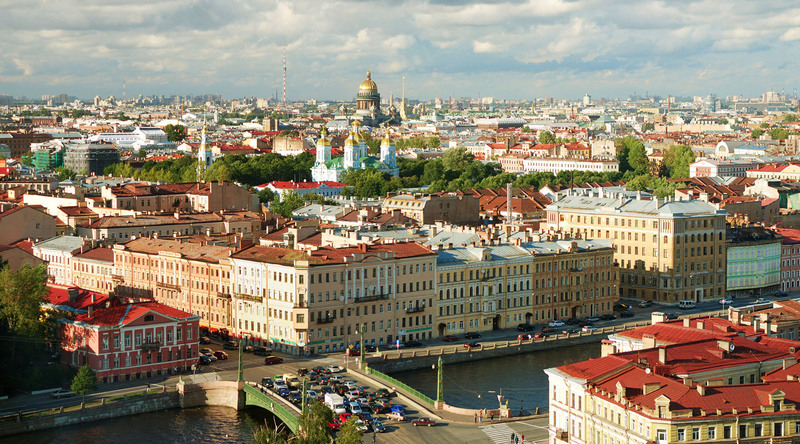 Azamara has six voyages calling on St. Petersburg scheduled for 2016 and 2017. Day Three of the 8 Night Coastal California Voyage!